Pastor Jim Davidson was born into a moral family but did not come to know Jesus Christ as his Savior until the age of 20 while serving in the United States Navy. He was married in 1996 and began to get involved in the local church. It was through this involvement that God began to burden him for ministry. In 2000, he and his wife surrendered to God’s calling on their lives. Pastor Davidson received his training at Ambassador Baptist College and attended MBC for several years as a member. He subsequently served for over eight years as an assistant and youth pastor in West Virginia. 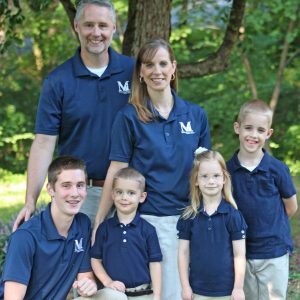 God has now called Pastor Davidson and his family back to Shelby, NC, where he has a passion to reach the community with the saving Gospel of Jesus Christ. Dr. Don Scovill was five or six years old when his mother led him to receive Christ as Savior. He was called into full-time ministry as a teenager during youth meetings. Since 1996, Dr. Scovill, originally from Minnesota, has been serving as director of music at Maranatha Baptist Church. He enjoys working in a friendly church where people love to learn and serve. 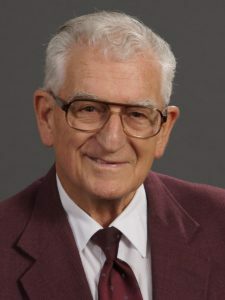 He has been involved in the field of sacred music since 1954. He and his wife, Evelyne, just celebrated their fifty-fifth wedding anniversary. They have a daughter, who is the wife of a youth pastor in Minnesota, a son who teaches music in Lattimore, NC, seven grandchildren, and three great-grand children. Stephen Minion accepted the Lord as his Savior at an early age. As a teenager, he surrendered his life to God and followed the Lord’s leading to pursue ministry training. During his college years at Ambassador Baptist College, he joined Maranatha Baptist Church. After finishing schooling, he joined the church staff as Assistant to the Pastor. 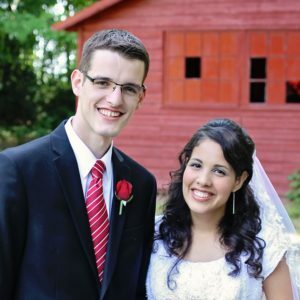 He and his wife Jenifer are eager to see the youth of MBC take the next step forward in their walk with God.